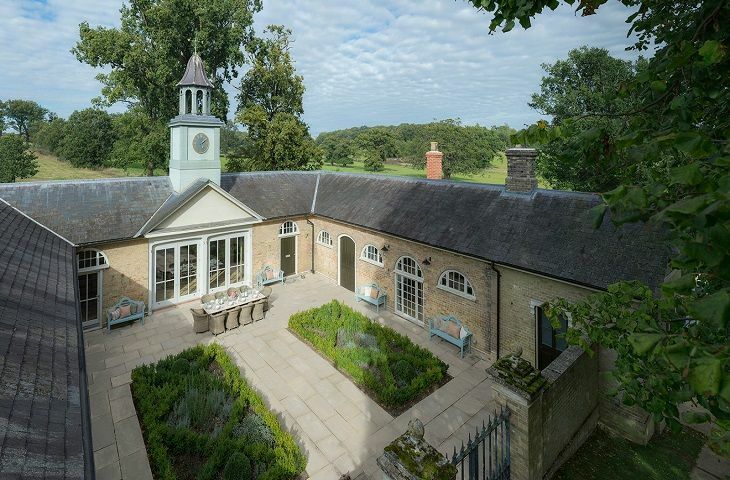 Glassonby Hall is a delight: it has a dramatic setting on a hilltop overlooking stunning countryside and as we found out can be the starting point for great walks across fields and through woods to the River Eden itself. It’s just a short drive to a host of interesting places, tourist spots and some great local pubs and eateries. But inside it’s doors the Hall is this fantastic mix of history and luxury with space and comfort for all. We had a superb time at our family party with the highlight being a candlelit meal at the long table in the vaulted dining room. 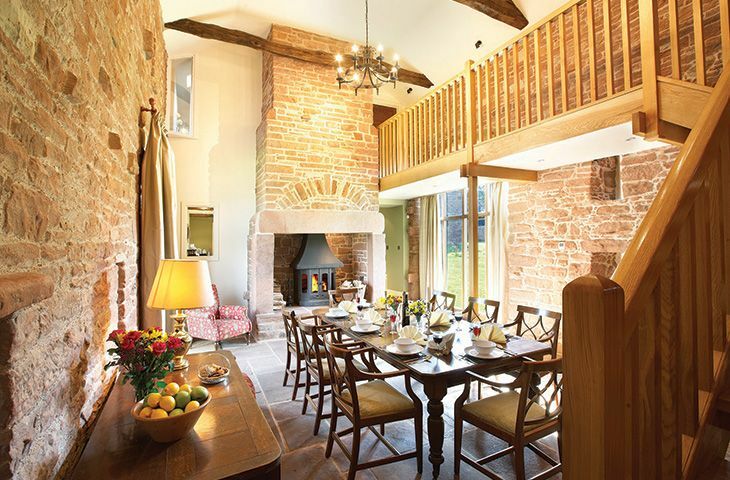 We can’t recommend Glassonby Hall highly enough. What a wonderful property. Beautiful views, extremely well appointed and stunning architecture. We had a lovely weekend. Thank you. Fabulous property in a beautiful location.Well equipped and enjoyed by all 6 of us particularly as we visited during the heavy snow. Cosy open fires and goodies in the hamper made the birthday celebration extra special. Would love to return and definitely recommend! Great house, good location, warm and clean. Fantastic welcome hamper. We really enjoyed our stay. The Christmas tree and hamper we excellent. The cold tap in the master bedroom wasn't working and we also think that as the kitchen can become hub go people to gather a flat the would be a great idea. 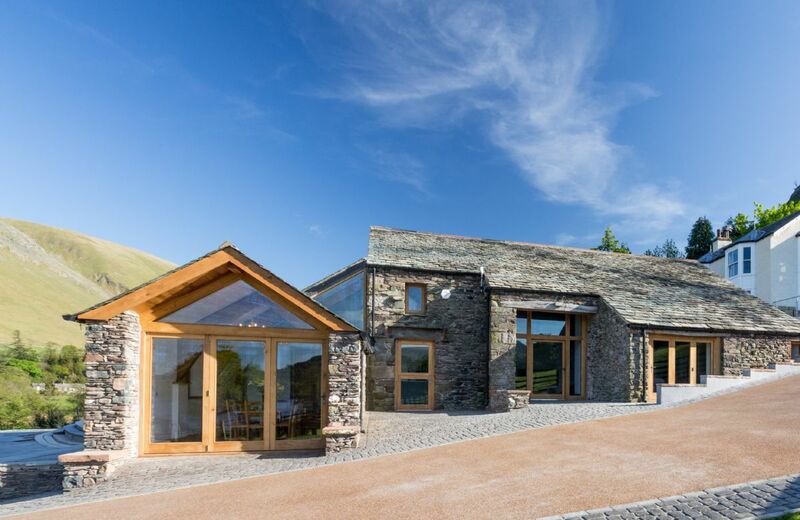 This Grade II listed Cumbrian longhouse was out of domestic use for hundreds of years before its recent 5 Star Gold Award winning restoration. Its history is evident in its thick sandstone walls, ships beams timbers and traditional oak window shutters. 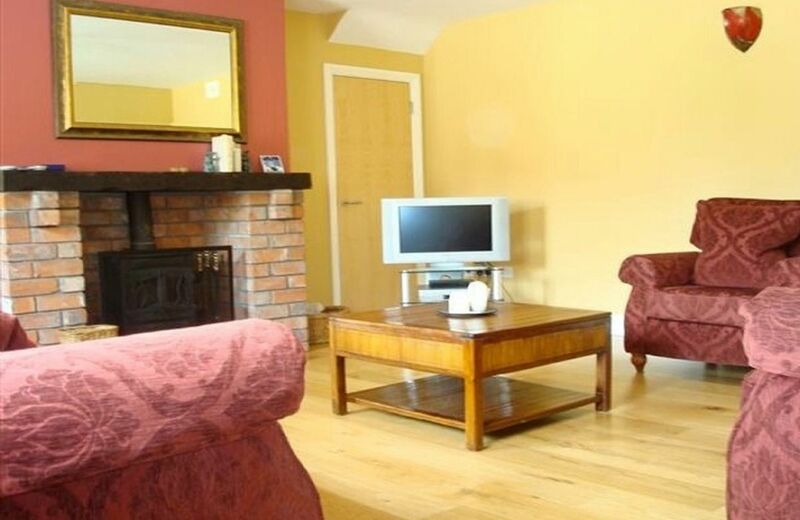 The cottage is in a great location, it's beautifully decorated and extremely well equipped with a great deal of thought gone into the guest information etc. but just not very comfortable. In fact, we all found the beds very uncomfortable. The mattresses were all hard, lumpy and lifeless. Two of our party woke with back ache on the first day and we all slept very badly for the duration of our stay. Also, my mother who is 78, couldn't find a comfortable chair in the house. The sofas and chairs in the lounge and dining room are all very low and she struggled to get up and down. And finally, some cushions for the wooden outdoor chairs would also improve the comfort of the outdoor area. From the owner ~ We always appreciate feedback from guests, and will look into the suitability of seating and the cushions for outside. Please can you assure this guest that our beds and chairs are of excellent quality and that we pay particular attention in all of our properties to guests' comfort. Cottage was first class everything we needed and more. Housekeeper was on hand all the time very helpful. Georgeous cottage, couldn't fault it. Very welcoming and comfortable. Fantastic welcome pack. Lovely area with plenty of walks. Kirkbride Hall was gorgeous and had all the amenities we required and was spotlessy clean. A wonderful way to spend Xmas with family and friends. 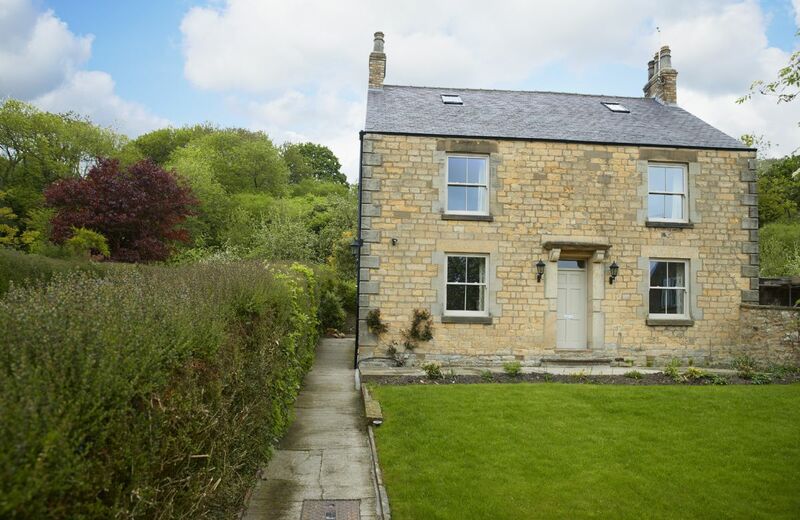 Kirkbride Hall is a newly built traditional style stone clad terraced cottage located in walled cherry and apple orchards of Melmerby Hall and neighbours the quiet and scenic churchyard of the Grade II listed St John’s Church in Melmerby. 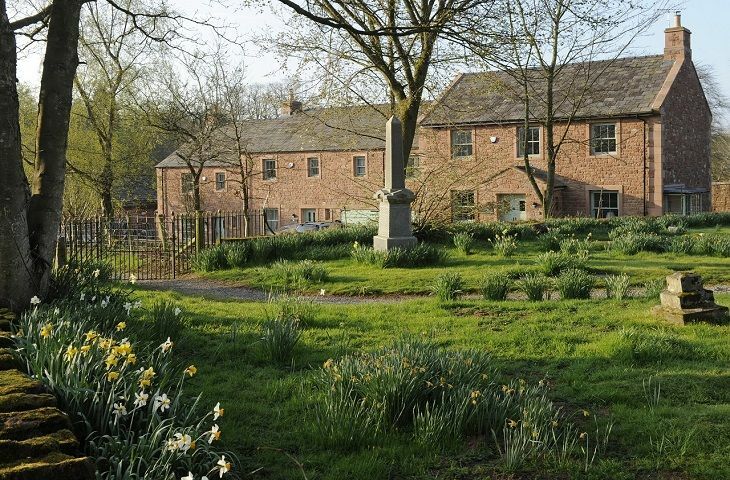 The former orchard garden of Melmerby Hall is a beautiful and quiet setting for Kirkbride Hall and its adjoining cottages. Kirkbride Hall has open plan access and parking to the front, and a large enclosed patio and garden to the rear – the perfect sun trap on a warm summer's day with lots of room for children and pets to play safely. The cottage and annex was perfect for us 7 adults and 1 eight year old. the place was decorated well and atomosphere terrifice, and the view: beyond belief. We are sitting here in office in southern Cal, smoke in the air from a fire 15 miles away, wishing we were sitting at picnic table looking out over the valley Northern Wales is a hidden gem as far as we are concerned as travel agents. 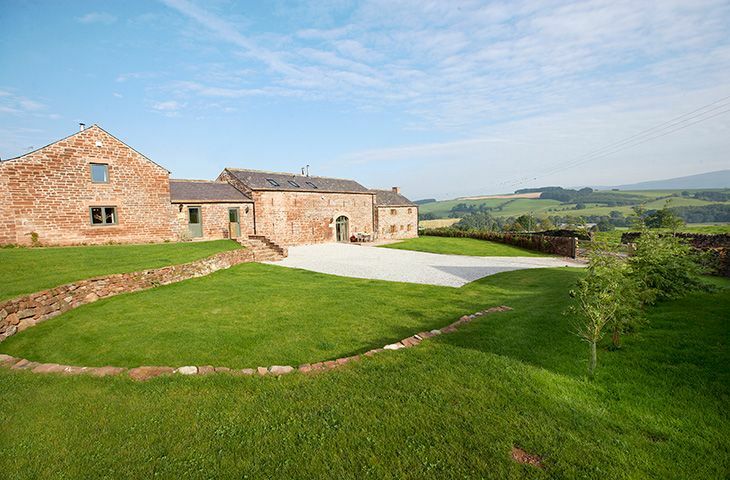 If we could arrange a commission from Rural Retreats, we would like to set that up so we can sell your properties. We will have Wales as the country of the month in November, and market it appropriately. Please advise. Beautiful cottage in an amazing place. 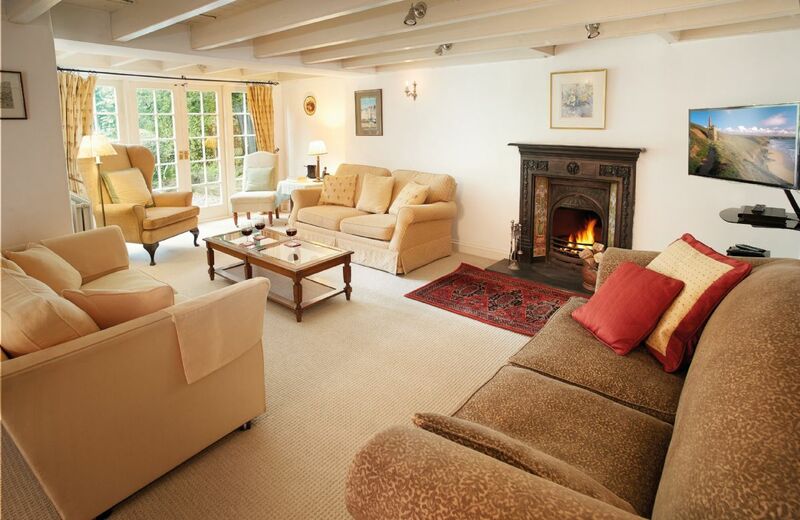 Warm comfortable and well equipped .Perfect place for a family get together. Walks on the estate lovely, it’s a real gem. No issues. Beautiful and very peaceful location and cottage. All in excellent order. The cleaner was extremely helpful and friendly. She provided me with all of the information I needed. 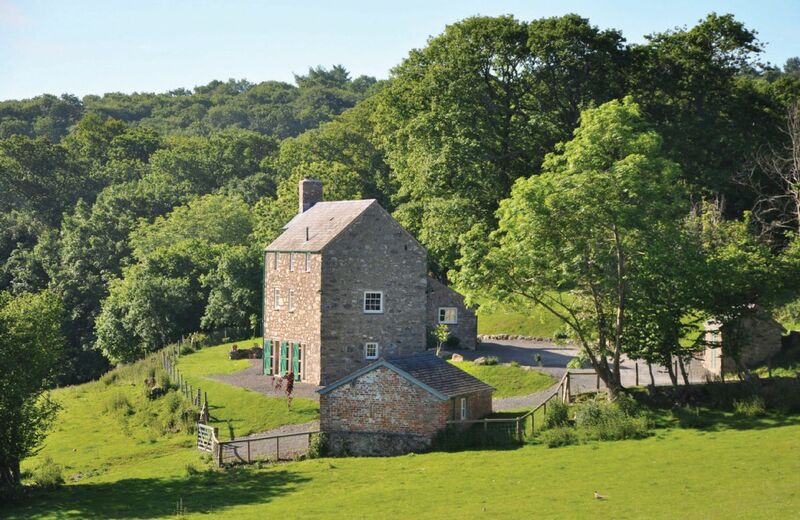 This 17th century Grade II farmhouse on the Bodnant Estate was sympathetically restored, retaining many period features and winning an award from the Conwy Civic Society. 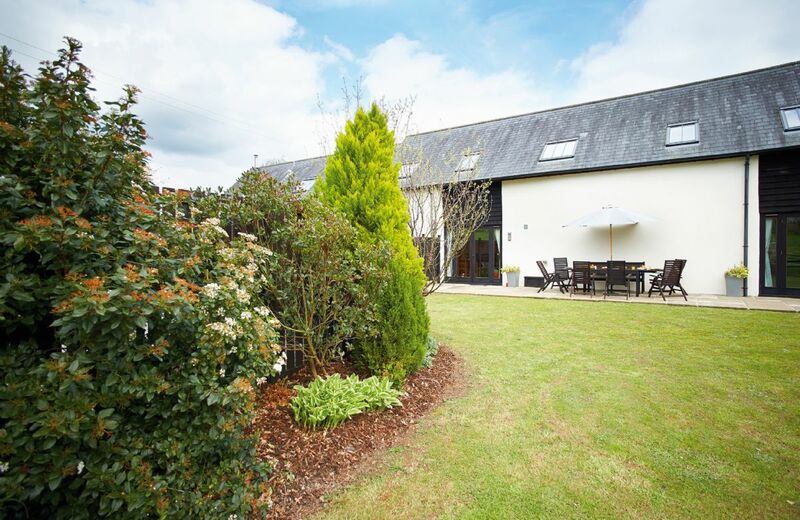 With the adjacent annexe, the property accommodates up to eight guests. Magna cottage was perfect, really cosy and beautifully furnished with everything we needed. A lovely place to relax and listen to silence and see darkness again! Please thank the owner for us. P.S. thank you also for a very generous welcome basket. The property was beautiful and the setting was gorgeous. The WIFI however was a disappointment as we had teenagers with us who had no/little access to the internet. This was a problem. It stated when I booked there was WIFI. There was no comfortable outside seating at the cottage, sunbeds would have made the experience much better as the sun shone for most of the week. The outside wooden benches were very uncomfortable. Thank you for your feedback. I am sorry that the WiFi was not strong - as we say on the web-page 'speed/service may vary depending on the signal' and due to the isolated location of Magna Cottage it can be variable. Hopefully this will improve soon as high speed connection in the area is due to be activated. The cottage was absolutely lovely, it was exactly as described/shown on the web-site (perhaps better). The house was well-equipped and extremely well-maintained. The owner was very helpful with info, and check-in and (late) check-out were completely painless. Thoroughly recommended - we would happily return. We all loved the cottage and the dogs loved the garden. It was comfortable and the welcome hamper much appreciated. We would like to return sometime. Thank you Rural Retreats. 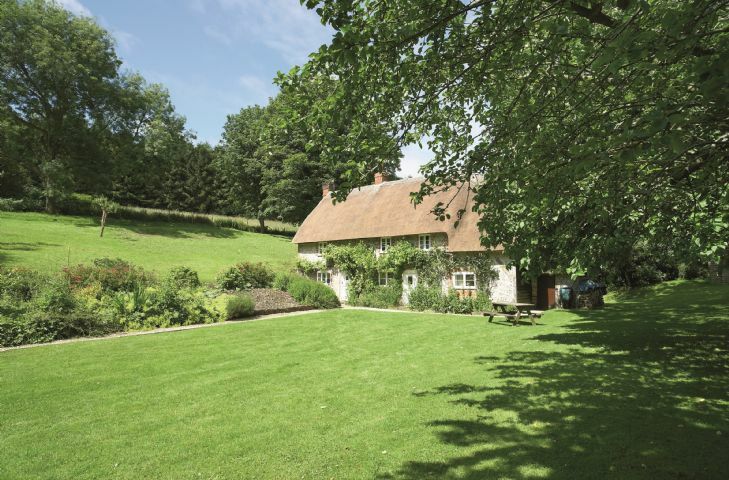 This beautiful cottage lies in the heart of rural Dorset. It is very well equipped and provided for us a magical setting to celebrate my wife's 70th birthday Apart from the sheer bliss of enjoying this chocolate box cottage, mention must be made of the kindness of the housekeeper, Harriet, who, in addition to responding to several phone calls prior to our arrival, also did everything she could to enable us to keep the holiday as a truly memorable surprise for my wife. 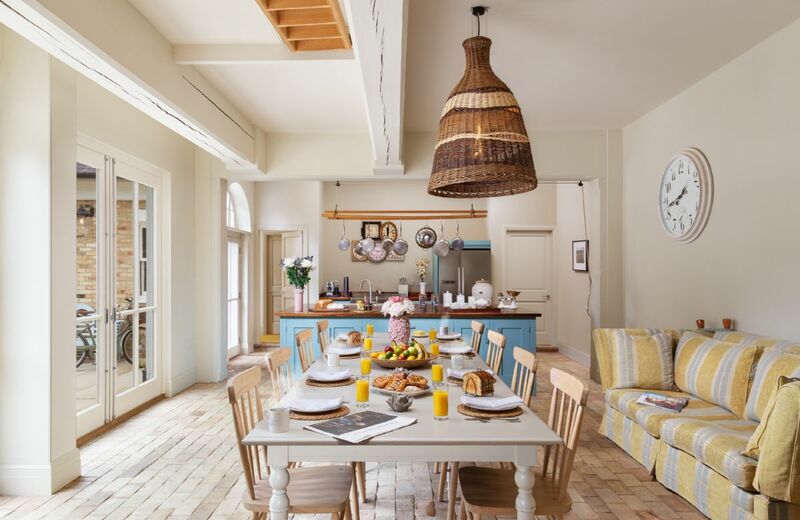 It is no exaggeration to say that our short stay at Magna Cottage was perfect and stands near to the top of the list of all the exciting holidays our family has enjoyed in previous years. The cottage was perfect for our group of 8 plus spaniel. Gorgeous weather really made the holiday, as we spent most of our time in the spacious garden or out walking in nearby woods. The cottage had all that we needed, although if you’re looking for hi-tech, this isn’t the place for you. We weren’t and loved the seclusion and peace of being the last property on the no-through road. Cottage was cosy and the log fire was great for a cold February weekend. Would thoroughly recommend. Harriet the housekeeper was vey helpful. Forth bedroom could do with a door for privacy. A wonderful place to stay, a home from home, we felt at home immediately. A welcome hamper with very thoughtful local produce. We will definitely book again. 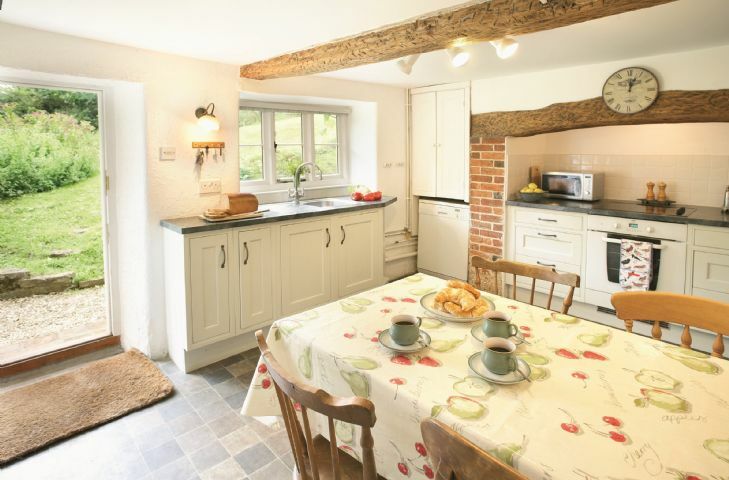 Magna Cottage is a lovely warm and cosy cottage that was very well equipped for our stay over Christmas. However the only shower had no hot water and whilst attempts were made to fix it, this didn't happen. A small refund was made to us but on reading a previous review it would seem that Rural Retreats already knew this was a problem before we arrived. it would have been good to have been warned and some alternative set up in the upstairs bathroom. In addition the smaller sofa has a broken leg and there's no lock on the bathroom door; all details that should be sorted for the money paid, and the general high standard of the rest of the house. I also think mention should be made that the internet is so slow as to be non-existent and there is no mobile phone signal. If the shower had been hot and the internet usable, I would have rated Magna Cottage 5 stars. The heating was broken, the shower’s thermostat was broken and the largest cooking utensil in a house that slept eight was barely big enough to heat a tin of beans. Location and furnishings were lovely, but very poor maintenance of facilities and needs better equipment in kitchen. You pay for what you get - this is a premium cotage and the specificiations, finishing and setting amply reflect this. Accommodation was excellent, exactly as described. It was a real home from home Christmas and we enjoyed every moment. The housekeeper was very friendly and helpful when I spoke with her before we started our holiday. Thank you to all concerned, it was brilliant. Our 11th stay at Magna which really is a home from home for us. We've got used to the high cost of staying at the cottage but can imagine others may feel it's a bit on the expensive side as it's looking tired in places. It also needs a jolly good clean under the beds but seeing as I don't do this in my own home and that Harriet the caretaker is lovely, I can't really criticise! The garden fencing STILL isn't done but apparently this is imminent. Next door's terrier coming in is still not funny!! Unusually for a Rural Retreat Cottage and as you know we have used plenty this one was idyllic from the outside but inside a bit tired, mismatched and scruffy. The kitchen was dirty, the highchair was broken but luckily we had bought a travel one, a chair in the dining room was also broken and dishwasher was not working - it said add salt and we did and it still did not clean anything so I am glad you have ask for this feedback as think you should know as it was up to our expectations - we went to Pool Head in Hereford after which was perfect! A lovely clean cottage and housekeeper very helpful. The property smells damp. The furnishings and fittings are quite shabby and not in a good way. Needs alot of investment to bring it up to scratch. This is an expensive let and whilst the outside of the property is lovely, the inside smells and needs seriously smartened up. 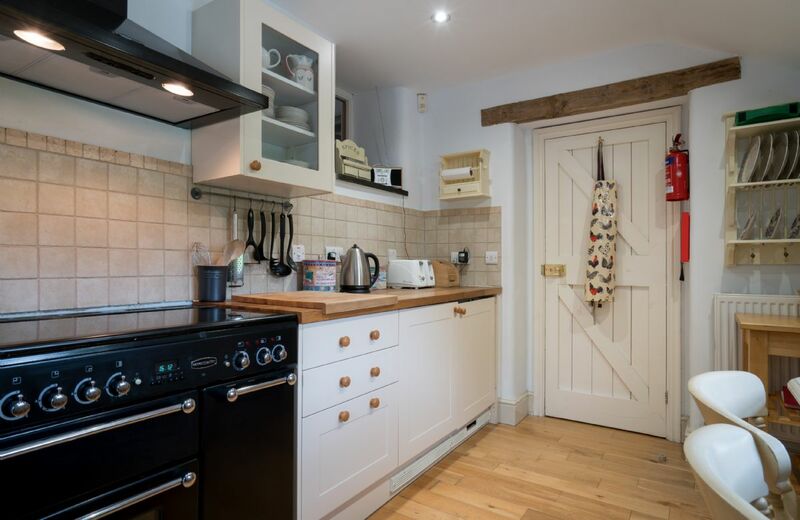 We only used two rooms because my daughter was quite spooked by the miserable bedrooms, the kichen needs smartened up with new appliances and crockery and cutlery. It all feels slightly second hand - kind of old stuff you'd get rid of if it was in your own house. We couldn't communicate with anyone because connections so bad. Couldn't even hear over the payphone. Housekeeper replaced that with old yellowed phone which you wouldn't want to touch. I paid over £2000 for 10 days - wouldn't have stayed there for free if I was offered again. Was glad to get home. Fabulous fantastic amazing holiday. The cottage is exactly like advertised but better!! Would totally recommend this place for a classic rural retreat!! 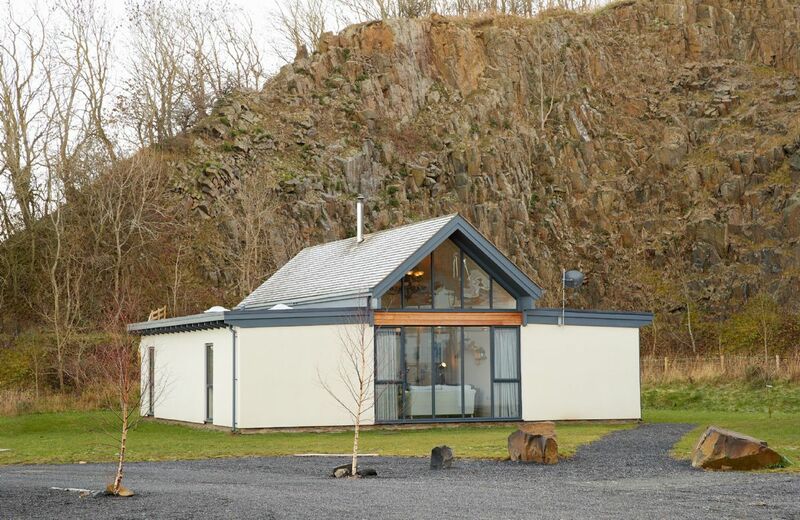 Mallow Lodge is a contemporary eco-lodge situated in a quarry, with stunning views of the sheer stone walls. 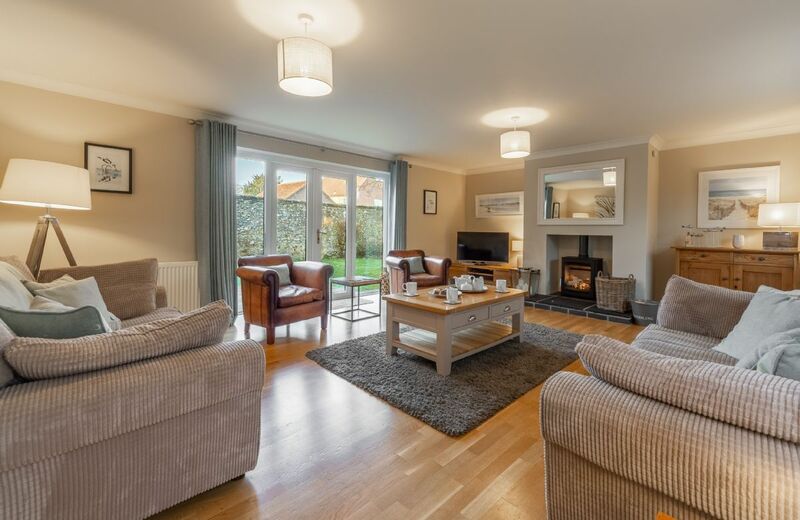 With a secluded, south-facing decking area outside and a cosy open plan living space indoors, it’s the perfect place to enjoy the dramatic scenery of Northumberland. For holidays taken between 17 March 2019 And 3 May 2019 Minimum of 3 nights booking. 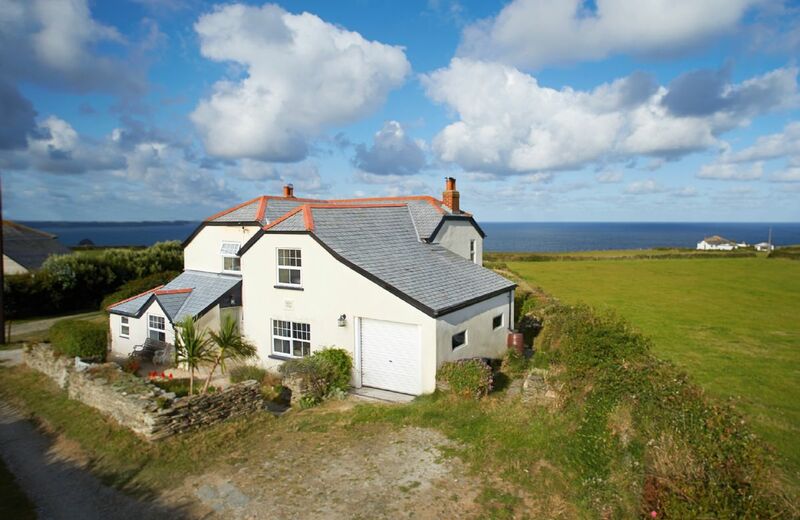 Merlins Cottage is situated down a quiet private track with panoramic sea views. It lies in the small coastal hamlet of Trevillick, just a five minute walk across National Trust farm land from the historic town of Tintagel. 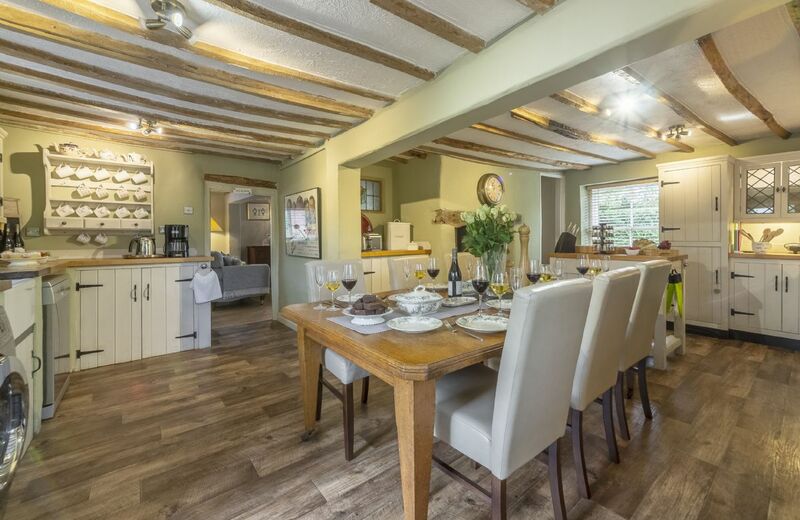 Pillar Box House is a timber-framed property tucked away in the hamlet of Hackford, in the mid Norfolk countryside. With a characterful wood beamed living area and inglenook fireplace, the property also has its own hot tub in the secluded cottage garden. Beautiful house with a great terrace and fantastic views. Everything you need is provided and the welcome hamper is superb. The only minor gripe I would have is that the bed in the room we had could be better in terms of comfort and construction. Downstairs rooms (lounge and kitchen/dining room) very comfortable and well equipped. Bedrooms upstairs lack hanging space for clothes and towels, otherwise very good. Lovely stay at Redroof Cottage. Gorgeous views, and modern spacious house. Very comfortable stay, will definitely return in the future. 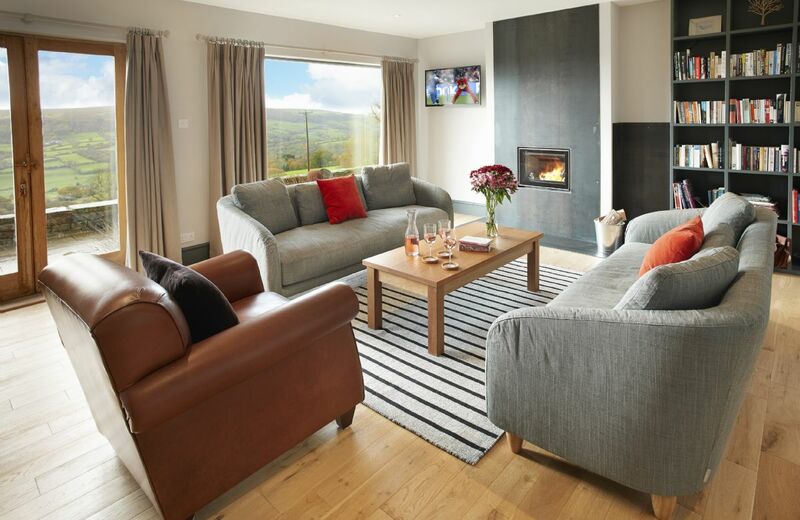 RedRoofs, with its stunning views over the Esk Valley and situated within the North Yorkshire Moors National Park, is a spacious home ideally suited for family holidays or a weekend getaway for a group of friends. Within easy access of the village pub, and Whitby only a short drive away. Rosemundy is in a fabulous location and is very safe if you have a dog or children and the reasons for our return visits. The only reason I did not give it 5 stars is because it is all looking a little bit tired. Old bed linen in the double beds (although new bed linen noticed in the singles) which I mentioned after my last stay and uncomfortable pillows. Carpets are very stained. Some heating for the bathroom with shower would be appreciated. Conservatory roof is very dirty and in need of attention. None of this will stop us coming again but we do wonder about the price considering the condition and 400 St Agnes entries on air b&b nearly all cheaper. The magnificent welcome hamper is much appreciated after long travel times although we noticed no scones this time. The owner has replied:Thank you for your comments. We are always delighted to have returning guests. 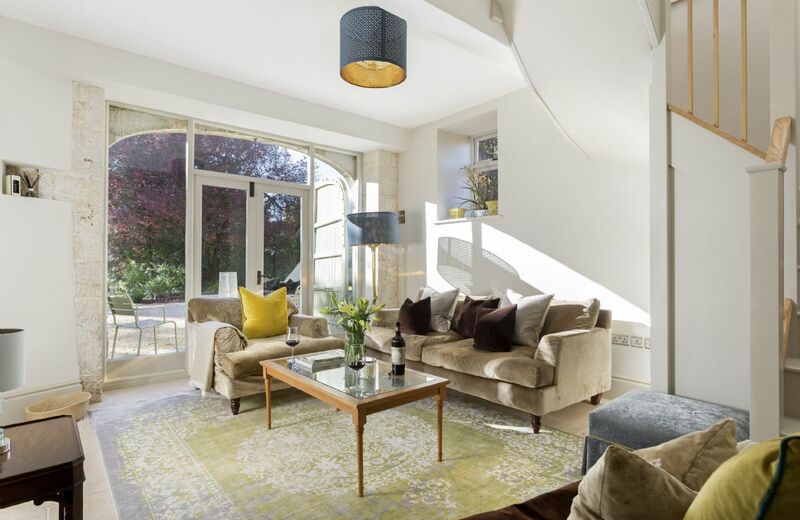 We are sorry that on this occasion you found the house a ” little tired “ – we do strive to regularly stay on top of maintenance and updating – we hope, for example that you liked the reupholstered sofas and new curtains in the lounge since your last visit. The bed linen and pillows are regularly replaced and since your visit both the carpets and conservatory roof have been cleaned. The towel rail / radiator in the shower room comes on with the central heating. We are pleased that you enjoyed the hamper – our housekeeper tries to vary the contents a little , so we understand strawberries and cream were on offer for your visit! Wonderful house, beautiful garden and fabulous location. A beautiful house, very comfortable, warm and extremely well equipped! The welcome hamper was full of delicious surprises, and the owners were very helpful and went out of their way to help us out with additional fuel for the open fire. The location is ideal for trips out to St Ives, Padstow and other local towns, and the village itself has a couple of nice pubs and restaurants too. Many thanks, we had a great time. Lovely property in a great spot. 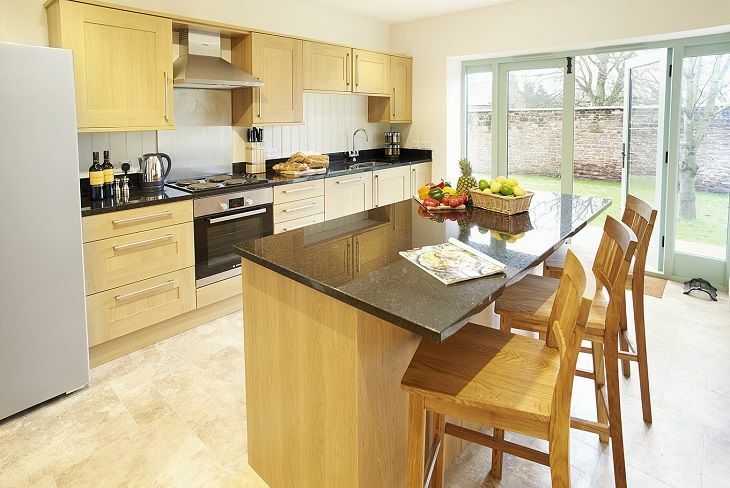 We have had a number of holidays with Rural Retreats and all have been excellent well equipped cottages. I know I can relax from the moment I arrive. St Agnes is a lovely little town with shops, walks and restaurants all within walking distance. Highly recommended. What great feedback for Rosemundy Villa and Rural Retreats. Thank you very much. House absolutely delightful, perfect for our needs and we all commented on the attention to detail. The welcome hamper was amazing!! Thank you for enabling us to have a wonderful family reunion over the course of the week in that splendid place. Kate was so helpful in every way and went far beyond what one would expect even to the extent of sending on a parcel of clothes left behind. Thank you! Thank you so much for your review - we are delighted that you had such a special holiday. Beautifully unique and homely. 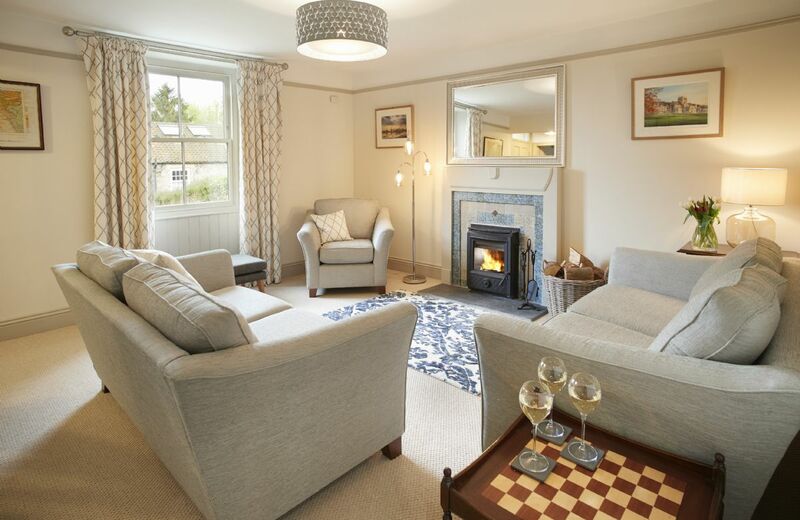 Wonderfully relaxing and situated in a beautiful village. I just told you on the previous page. Beautiful house and gardens showing a few signs of shabbiness and well used if being critical. Inadequate kitchen utensils. Second bathroom would benefit from proper shower. 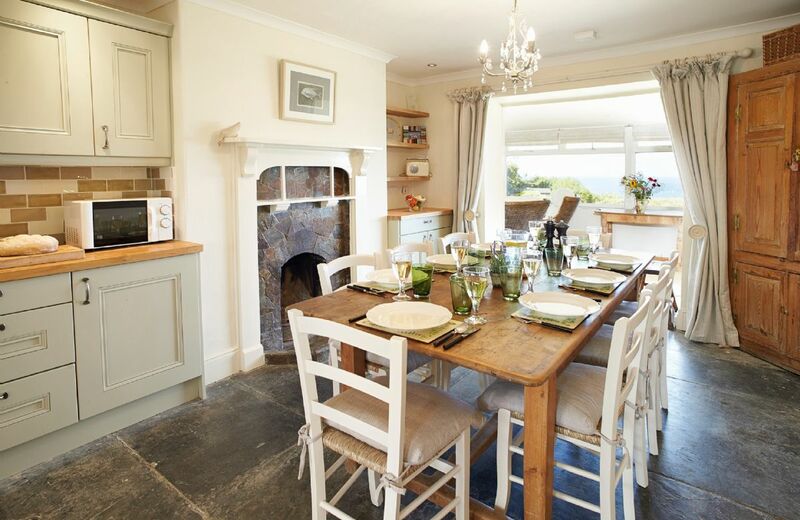 From the owner ~ "Thank you for your comments, we are delighted that you enjoyed your holiday in fantastic St Agnes. Since your visit we have had sofas recovered and extensive repainting , also kitchen utensils replaced! " Twin beds on first floor (near front door) are very hard - disturbed sleep! Double bed on second floor also hard. Furniture in lounge is dated and shabby. Windows dont open in first floor double room or bathroom on second floor. The property would benefit from painting and decorating and checking over. Fridge freezer was defrosted when we arrived so cold food that we had brought with us warmed up. Hamper was good and everything was clean and tidy. We would like to return because the position of the house is amazing and we do enjoy being there. Thank you for your very comprehensive feedback. I am glad that you enjoy going to Rosemundy Villa and that everything was clean and tidy. I will pass on your comments regarding improvements to the owner. Update - the sofas have been replaced and there has been extensive repainting. This is a beautiful house and gardens with a slightly quirky layout. Kate the housekeeper provided the best welcome hamper we've ever had from a Rural Retreats property and there was a very good supply of all the little things you don't always get in a holiday rental. You really don't need to take anything except beach stuff to this house. [Note that the beach isn't an easy stroll away for young children and the infirm. We drove down and managed to get a space in the limited parking both times]. Having said that, the games were missing parts so we were glad we'd taken our own. 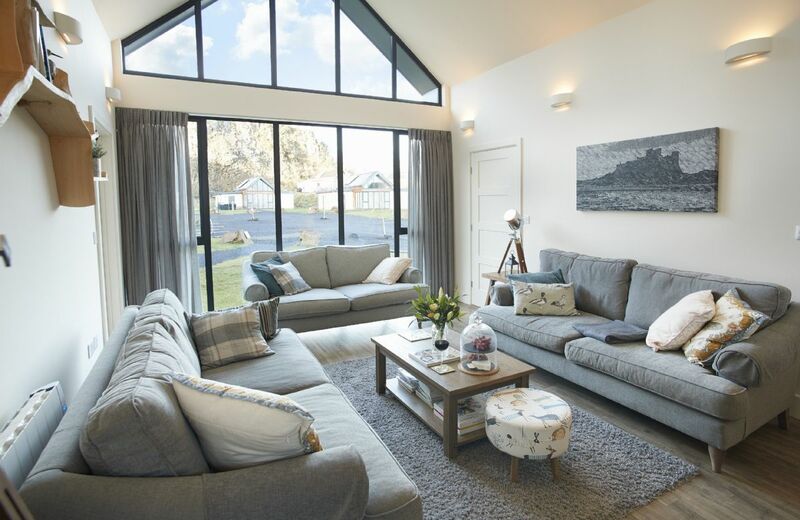 The house has a lived in feel which for us, was both a positive and a negative: the sofas were comfy but not pristine so we didn't feel the need to plump up the cushions every time we got up. If you're looking for white leather sofas and immaculate surroundings, this isn't the house for you. There were a couple of missing/loose spindles on the banisters and things like chipped/cracked tiles which makes us think the house is a little overpriced compared with other Rural Retreats homes we've stayed at but I suppose you're paying for the location as well. The village is lovely and you need to book for the best restaurants (Schooners highly recommended). Parking in the village isn't easy. If you're a beach family, it's a great house and location. Easy to get to other beaches and towns. From the owner ~ Thank you for your comments. The sofas are in fact booked in to be recovered this Autumn . The coverings should be smart but still practical for families! We have also booked a carpenter to deal with the spindles and new games have been purchased! Awesome base to explore the north coast. Beautiful house and perfect location for getting around the village. The property was in an immaculate condition and the Welcome Pack was second to none. Cannot rate it highly enough. Thank you for a wonderful stay. Lovely old villa in St Agnes. House spotless. Two pages missing from the house instructions, namely the Aga instructions (we've never used one before) and the heating. It got rather cold and eventually we worked it out. Hamper ingredients excellent. Over priced, does not compare well with other properties we have stayed in which have much better quality of furnishings and decoration. Beautiful property and garden let down by dreary décor in need of uplift and repair, grubby sofas, one bedroom had smelly towels and bed lining which smelled like wet dog and smelly feet. We had to wash before use. FEw issues the postcode on the text message from rural retreats was wrong. The house was excelant but we would of appricaited the house keeper poping in just to ask a few things as we had problems with the aga not being up to temperature. We have also in error taken a towel from the house which we have notified the house keeper saying we are happy to reimburse or return the house keeper has said that they would prefer us to post back. This we will do in the next few days. We also had a problem with water from the shower which we advised the house keeper and we left the key in the keysafe as we were advised that there wasn't a spare key but we didn't here if anyone had been into the property to look or not. The property was very well equipped and quality of linens good. The hamper was excellent, and the housekeeper very helpful. On our paperwork her landline number did not work, although there was a mobile. Kate did leave a message on our return home to ring her, which I did a few times, although she did not get back to me. So if there was a problem or issue after we left, I do not know what it was. Plenty of room for the 6 of us covering 3 generations to enjoy and relax. 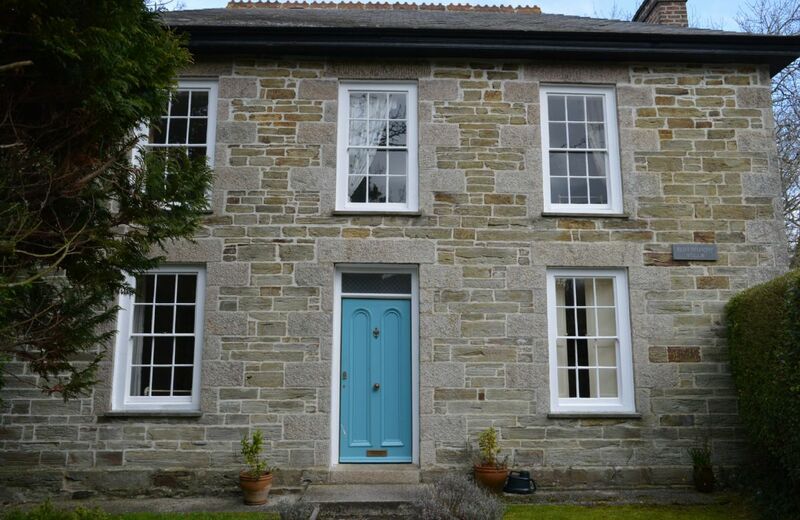 This detached Grade II listed Georgian house is on the North Cornwall coast in the attractive village of St Agnes, a designated Area of Outstanding Natural Beauty and a World Heritage Site. Just 9 miles from Truro. 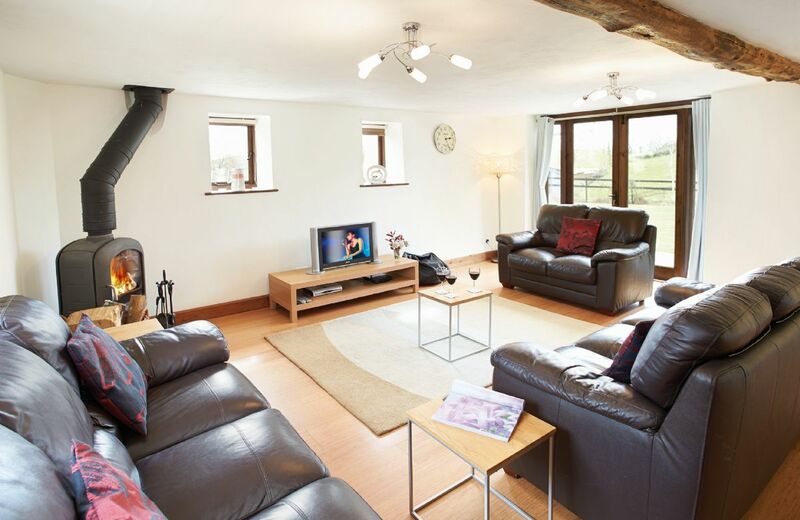 Lovely comfortable cottage in fabulous location. The welcome hamper was a real bonus - great start to our holiday. The lack of private outside space might have been a small issue in the summer but not in Feb. The only thing which could have been better was the lack of any power/pressure in the showers. Overall a great experience. Lovely accommodation. Amazing spot. Only problems that we experienced were that the microwave didn’t work and the washing machine flooded onto the kitchen floor so we couldn’t use that again . An amazing weekend at The Lizard. Beautiful property, very well equipped and extremely well prepared by the wonderful housekeeper. We had a fantastic tour of the lighthouse and enjoyed the coastal walks. Not to mention the fish and chips from Lizard! Exceeded all our expectations. The whole place was spacious and airy and furnished beautifully - I came home determined to purchase a few of the items for home use. The welcome basket was the best we have ever received and the housekeeper even called on the first evening to check that everything was to our liking, she also made sure that we had her number if we did have any problems. Perfect location, spacious, well-appointed, good food hamper, serene. We have stayed in several lighthouse cottages booked with rural retreats and would have rated them all 5 stars, however this property wasn’t quite up to scratch. Cupboard door missing from front of fridge making it very difficult to open resulting in quite a few scraped knuckles. House keeper was informed and responded that it was there in the morning when she had prepared the cottage!!! Blood spot on white bedding. Towels smelt slightly damp as though they hadn’t been dried properly though I must say they were perfectly clean. The skirting in the ensuite was either dirty or damp and the toilet roll holder in the toilet by the front door was broken. Advertised as parking for 2 cars but one space so small and on the corner that our Vauxswagen Tiguan ( a standard size family car) couldn’t be parked there. Didn’t effect the enjoyment of our holiday. We had a great week in a great location but not up to rural retreats usual standards! What a lovely location, wonderful property, lovely welcome hamper and attentive house keeper. Would go again in the future. Lovely family Christmas to remember. When I phoned Carrie for the key code she asked if any one was gluten free, I said I was but not to worry about getting anything. When we arrived the hamper was full of lovely goodies and in there were some gluten free cakes, that was a really lovely thought. Carrie phoned to see if everything was ok. She even went the extra mile when a vanity case was left behind. Thank you Carrie for everything. The building was interesting and we were able to just step outside and get onto the coastal path. 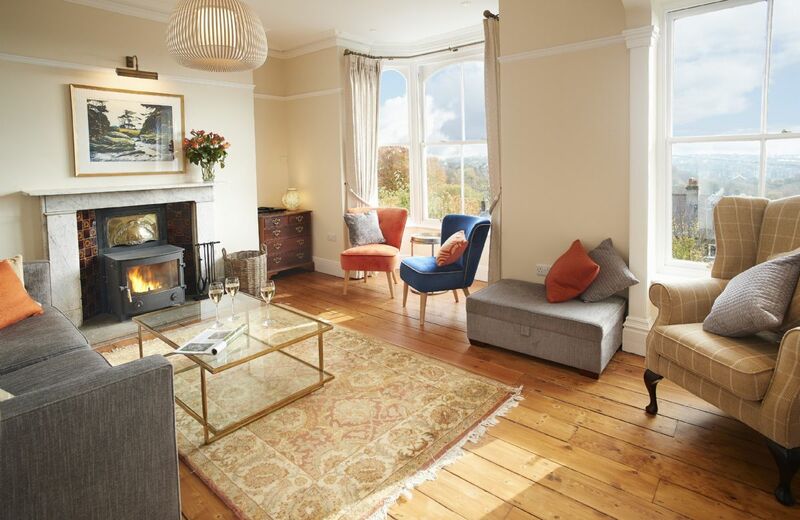 The location is really special, with great views just a moment's step out of the front door. Great walks on the doorstep, nice pubs in town and had an excellent fish dinner at Coast restaurant there too. The interior is comfortable with nice furniture and decor, everything we needed for doing laundry and entertaining ourselves in the rain - board games etc. Was a bit worried about the fog horn but it wasn't as disturbing as we first thought, the brain tunes it out! A couple of points to mention are: that the fridge is a little small for 8ppl, while the freezer is enormous; while there was washing powder, there was only one dishwasher tablet (another thing to have to pop out to get! ); no info on recycling, we had to figure out how to do that ourselves as we didn't want to simply put recyclables in rubbish; and no wifi - we didn't want to use it much but became a problem as we had 2 'emergencies' when we needed to get online and signal is bad. I am very pleased that you enjoyed your holiday at Round Island and thank you for your kind comments about the property and surroundings. Unfortunately, due to the location, there is no wifi at any of our Lizard lighthouses. Thank you for your feedback. I am sorry that you did not realise it is a working light house . 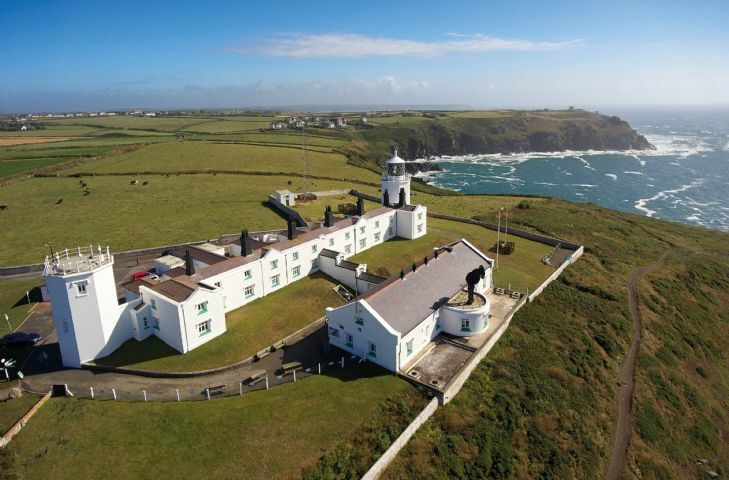 We have the following paragraph in our property details - Lizard Lighthouse is a fully working lighthouse, first established in 1619. The distinctive two white towers that it is known for today were built in 1751 by private entrepreneur Thomas Fonnereau, and first lit on 22 August of that year. Trinity House gained control of the lights in 1771 and continues to look after its operation to this day. It became electrified in 1924 and then fully automated in 1998. It has a 26 mile light range and an automatic 3 mile fog signal if conditions are misty. Everything about this holiday fulfilled all our hopes. Wonderful! Cottage was lovely and clean, warm and welcoming on arrival. Welcome pack was excellent and everything we needed for our stay was provided. Telephone call from Carrie to make sure we had arrived and everything was ok was a nice touch. Beds very clean, comfortable and lounge area very cosy. Stay wasn't long enough, definitely want to return. Whilst we were aware that the lighthouse still operates the first night was horrendous, it was going from 1200 - 0930am. After that we were ok, the weather was glorious. It would put me off going there again as it could spoil your holiday on such a beautiful stretch of the south west coastal path. We did some amazing walks.Housekeeper brilliant and left very useful information for us about the area. Beautiful property and beautiful surroundings. Property is fully equipped, clean and tidy, spacious, nothing to fault. For holidays taken between 17 March 2019 And 30 April 2019 Minimum of 3 nights booking. For holidays taken between 1 May 2019 And 30 May 2019 Minimum of 3 nights booking. 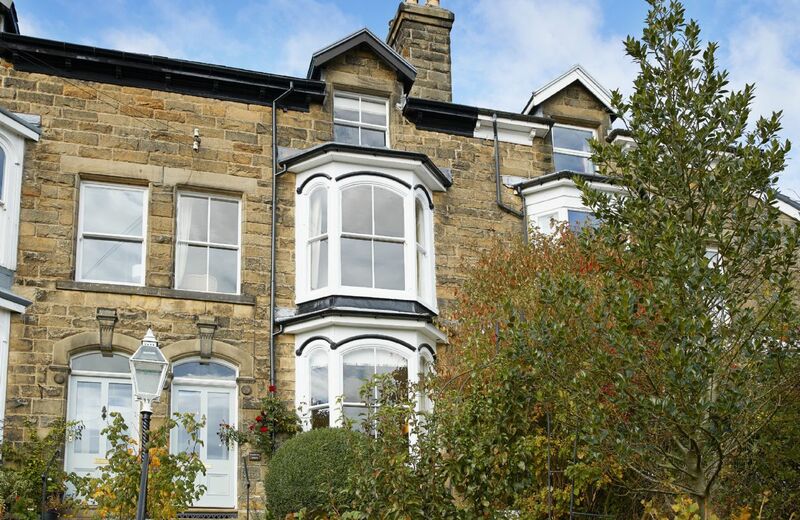 Sparrows North is a well-presented and spacious period town house that has recently undergone extensive refurbishment to a very high standard. 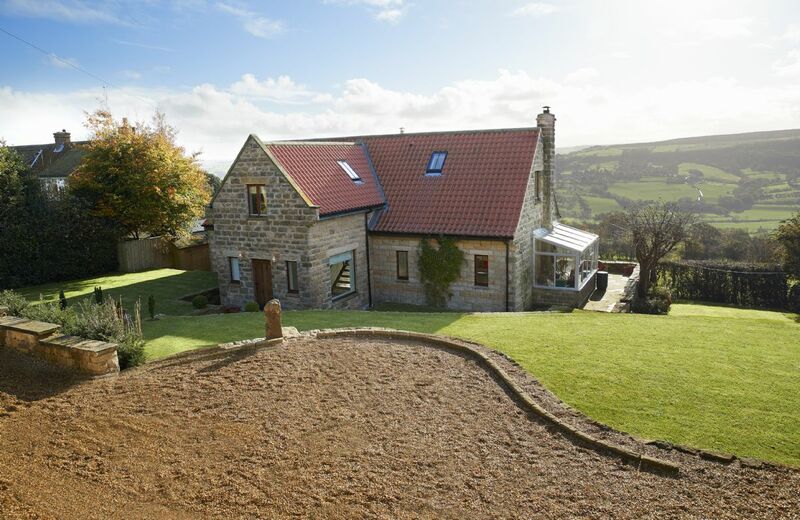 The property boasts breathtaking views over Buxton and the Derbyshire Peaks. 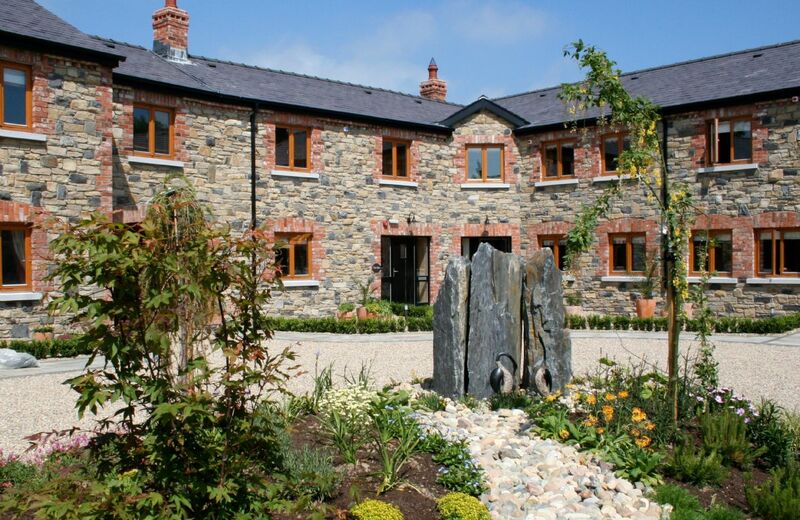 One of eight cottages situated in the beautiful Boyne Valley. An ideal place for a family, it offers shared access to a Day Spa, children's out door play area, indoor games room and gym. 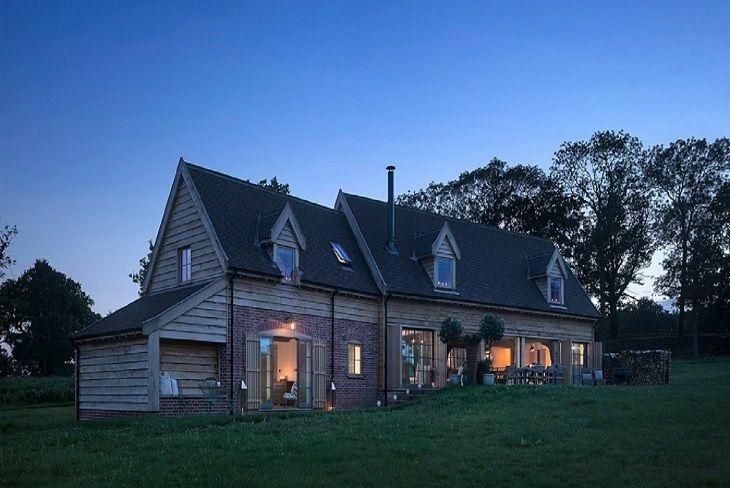 The Cartshed is a traditional oak and elm timber-framed Suffolk barn which has been lovingly restored using traditional methods to create a seriously special English country cottage. 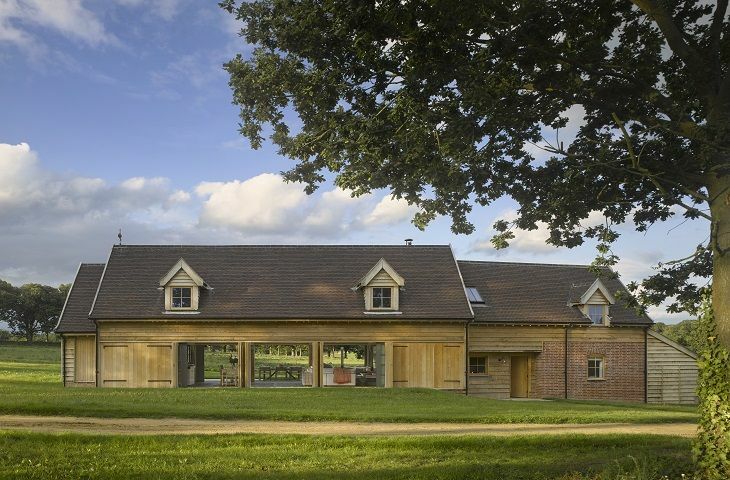 The Cartshed features an iconic Ergo Focus wood burning stove and spectacular open plan kitchen and reception with sliding doors and timber screens allowing the room to open up directly onto the farm yard and parkland. 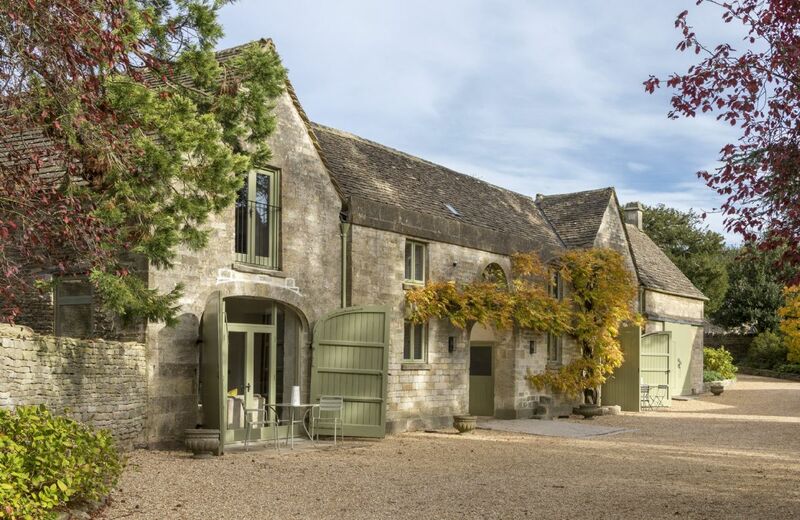 The Coach House and Stables are two stunning, symmetrical but separate cottages, connected by a covered, cobblestoned cart shed. 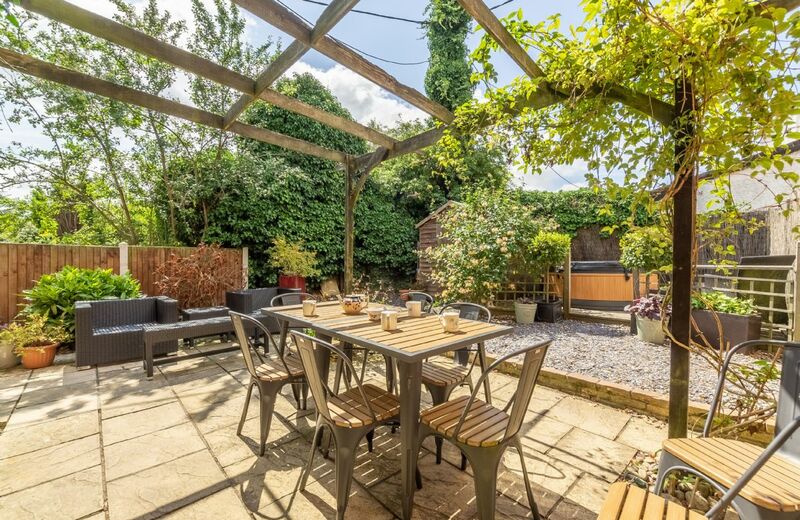 Refurbished to an impeccable standard, these beautiful properties sit in the heart of the charming village of Minchinhampton, hidden away in a secluded spot behind a private gate. 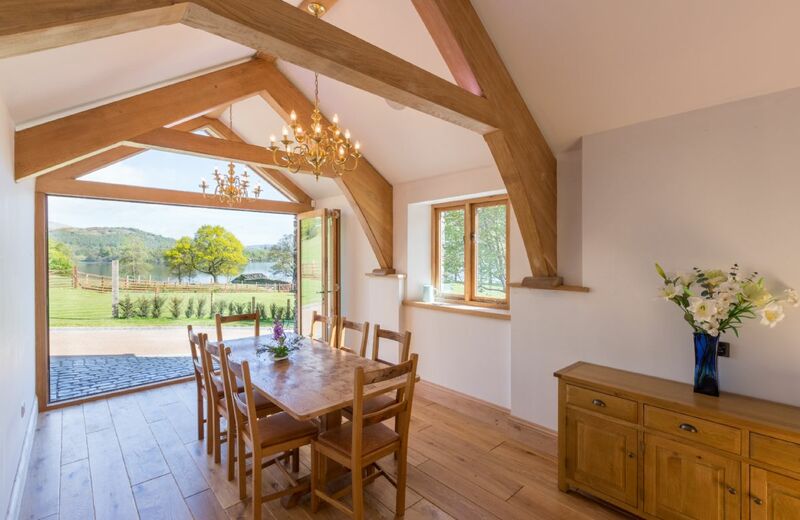 The Great Barn exudes five star luxury and overlooks the serene waters of Ullswater in the Lake District National Park. 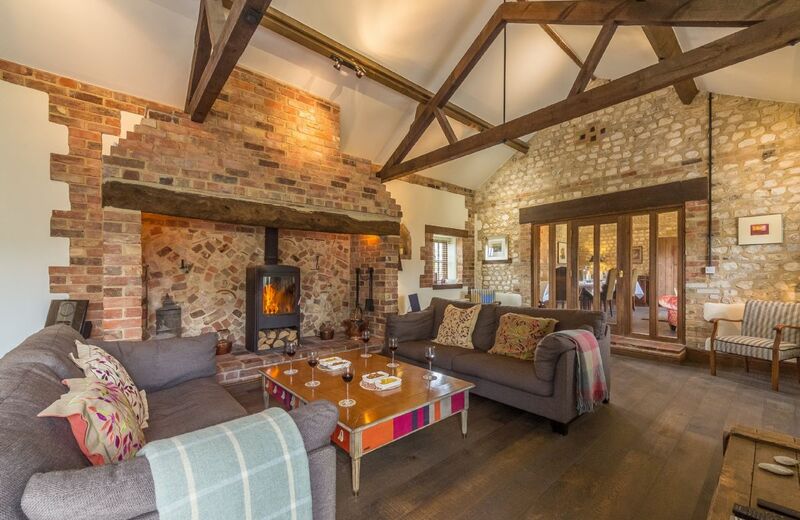 This 17th century converted barn has leapt into the 21st century with true flair and sophistication, providing outstanding quality for guests. Sitting in the pretty village of Docking, this beautiful home away from home is perfectly located for country and coastal exploration. Just 10 minutes’ drive to the beautiful beach at Brancaster and close to chic Burnham Market, with its fabulous restaurants and galleries. Beautiful place packed with everything you might need. Would definitely go back. Beds were so comfortable! Thank you so much for taking the trouble to leave such great feedback for our lovely property The Old Foundry. Brilliant holiday, property was one of the best. Fantastic property. Really loved staying there. Everything there we needed. In a great location. Lots of places nearby to visit. Would love to stay there again! On initial approach the property is extensive with ample parking and electric gates so very secure, however cosmetically needs a lot of work. The windows and doors to the gardens have gaps so daylight is visible and the windows are cloudy which is due to blown glass and in need to replacement. Due to hot weather the rooms can be stuffy and there were no fans on the property to stay cool. Location note there are no walks as your not in a village just surrounded by two other houses and fields also no pavements and is an incredibly fast busy country road so when walking expect to mount the grass verges. The welcome hamper is good as are the new clean bathrooms and bedrooms. Flies in the kitchen were problematic and the contact suggested he would have this resolved but worth noting we were not comfortable eating in the kitchen area for constantly having 20+ flies in the space. We took a dog and 1 year old baby with us both of which are catered for but note no sockets are concealed for young children. FROM THE OWNER ~ Thank you for your feedback. We are glad that you enjoyed the hamper and accommodation. We do our best to address all feedback received and respond below to each of the points you have raised in the same order. Cosmetic work - This is simply decoration of the exterior windows which had already been programmed for September. The clouding visible on some of the glazing units is due to the failure of seals and not blown glass. These units are being replaced in September. Fans - 2 fans have now been provided for the comfort of future guests in the event we are lucky to enjoy another hotter than usual summer. Location - As advertised the house is in a Hamlet surrounded by farm land. It’s not unusual for rural single lane roads not to have pavements so care must be taken when walking on them. There is also an OS map at the house which details the public footpaths and walks nearby. Flies - Due to its rural location and this summer’s higher than usual temperatures flies have been more prevalent this year. Unfortunately this is something that is very difficult to control in a country / farm land environment like ours. Our housekeeper Ben and his team do a great job in ensuring the Foundry is spotless before guests check in. Sockets - Thank you for raising. Socket covers are now available for future guests. Thanks for your visit at the Old Foundry. We hope that the above points did not impact too much on your stay. Perfect! The house was fabulous. Absolutely spotless and well equipped. It was the perfect place for our family to meet up and enjoy some special time together. 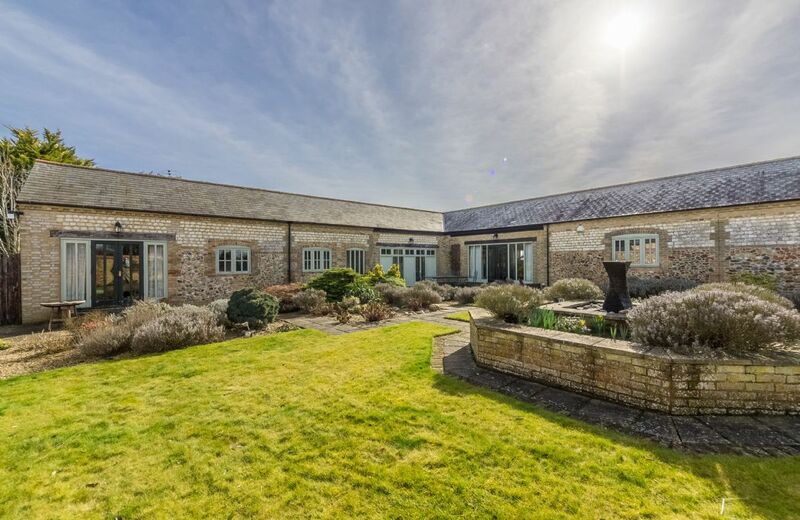 This single storey brick and chalk detached house sits within a third of acre of gardens and has beautiful views across open farmland. Downham Market and Thetford Forest can be reached in 20 minutes while the Norfolk Coast is approximately 45 minutes’ drive.